Kevin the king of kangaroos kept koalas in Kentucky. 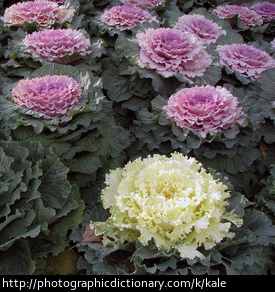 Kale is a vegetable that is dark green or purple in color. Kale is related to cabbage and has a bitter taste. Kale is very high in nutrients. 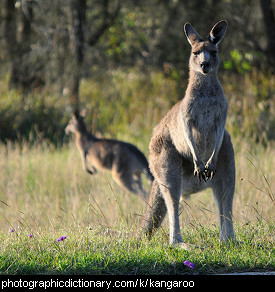 Kangaroos (Macropus rufus) are a marsupial that lives in Australia. Marsupials are animals that keep their babies their pouches. Kangaroos eat mostly grasses and small shrubs. 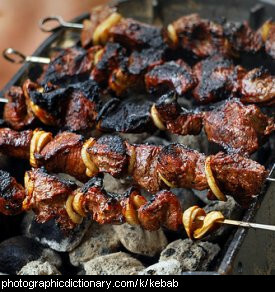 Kangaroos travel by hopping along on their hind legs, using their tail to balance themselves. They can travel very fast, and can grow to be taller and heavier than an adult man. A baby kangaroo is called a joey. 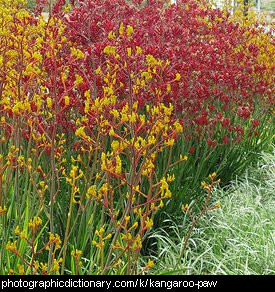 Kangaroo paw is the common name for a flowering plant from south Western Australia. It copes well with drought, and is a popular garden plant, especially in native Australian gardens. There are a number of newer and prettier varieties that have been bred as the plant becomes domesticated. There are dwarf varieties, but the larger kind can grow up to 1.5m high. It comes in a range of colours from the original oranges and reds to new pink shades. 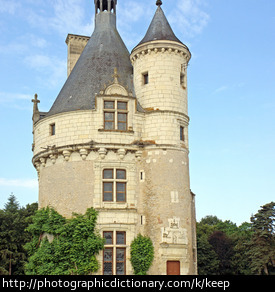 A keep is a castle's strongest tower. 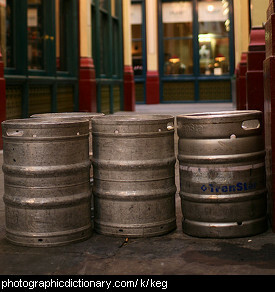 A keg is another name for a cask or barrel. Modern kegs tend to be made from metal, and contain drinks stored under pressure. 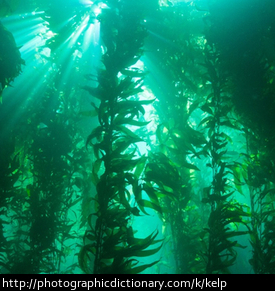 Kelp is a kind of seaweed that grows in large forests in shallow oceans. Kelp grows fast, and can grow to be 80-100m tall. 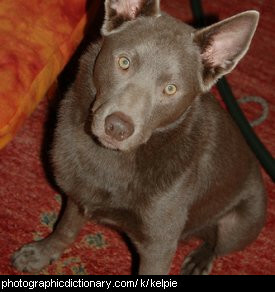 The Australian kelpie is a medium sized dog that was bred to herd animals like sheep, cows and goats. Kelpies come in a range of colours but the most familiar one is a reddish-brown coat. Kelpies are very energetic and are only suitable to be kept as pets by people who have a lot of time and space to exercise them. Bored kelpies can be noisy and destructive. 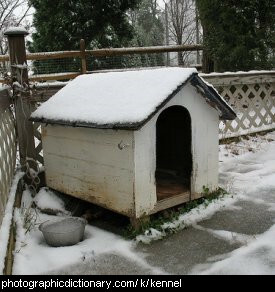 A kennel, or doghouse is a small house you have in your backyard for a dog to live in. A kennel is also used to mean a place where a lot of dogs are kept, or somewhere your dog can stay while you are away on vacation or holidays. 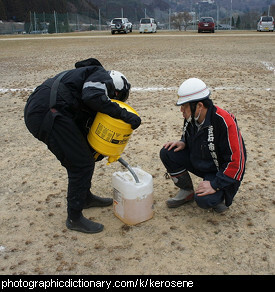 Kerosene is a liquid fuel that can be used for a variety of things. It is often used as the fuel in oil lamps, for heating in houses, and as a fuel for small engines or even some kinds of aircraft.